Before I leave you all with my sincere appreciation for your participation in this giveaway I thought I would actually just take a minute to chat with you about the products themselves and Ryobi Nation, totally unsolicited, in other words this isn't part of my sponsorship (I fulfilled that here) and is totally my own personal opinion. First things first… for those of you who entered the giveaway and completed the entry for registering at Ryobi Nation, you already know what a crazy big community they have going over there, and what some of the benefits to you might be, for sharing your own projects in that forum… but for the rest of you I thought I might let you in on a little fabulous nugget of info here. 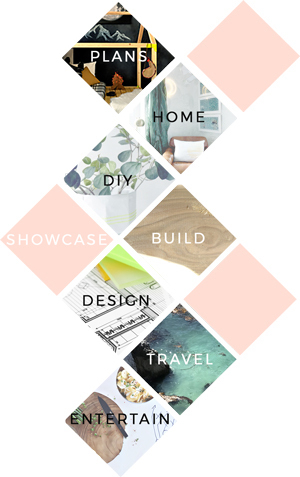 Each month there is a prize awarded for a winning project ($500 value) and for those of you who build in general and build from my site, you already have a leg up on this since that means you have projects to enter. Now my second little token of knowledge I would love to impart on you is that the Ryobi One+ 18V Lithium Ion Combo Kit we were giving away here is actually just one drop in the bucket compared to what is available as part of this collection of tools. Now what is so special about them, aside from the obvious 18V Lithium Ion batteries, is that every piece in this collection uses the SAME BATTERY which means that at any given time you can have multiple batteries charged and raring to go for your use. All you need to do is pull one off the multi-battery charger, swap it with your previous battery and you are good to go. So basically, your drill, circular saw, reciprocating saw, flashlight etc all use the same batteries. Do you hear what I'm trying to tell you here? Pretty smarty stuff, ya? And now for the technical sponsored info just in case… even though it doesn't technically apply to this post! RYOBI Nation is an online destination for power tool and DIY enthusiasts to share photos of their project successes, vote on their favorite projects for the opportunity to win prizes and have access to special offers on Ryobi power tools. The RYOBI ONE+ system offers more versatility, value and performance for DIYers and pros on a budget. The Home Depot has over 50 Ryobi products that are compatible with the Ryobi ONE+ Lithium Ion battery. Drills, saws, outdoor power tools and other types of tools all use the ONE+ battery. Perfect for any DIYer, the RYOBI18V ONE+ Lithium Ion Compact Drill Kit features the latest in power tool technology. Weighing less than three pounds, the RYOBI One+ Compact Drill Kit is easy for users of any strength or skill level to use. The Home Depot Disclosure Statement: The Home Depot partnered with bloggers such as me to help promote their Lithium Ion power tool collection. As part of this promotion, I received compensation for my time. They did not tell me what to purchase or what to say about the products. The Home Depot believes that consumers and bloggers are free to form their own opinions and share them in their own words. The Home Depot’s policies align with WOMMA Ethics Code, FTC guidelines and social media engagement recommendations.